But soon after classes begin, she meets a classmate, Cole Drepeau, with whom she forms an immediate and intimate bond. As Cole and Lily grow closer, Lily learns about the murder that divided the town more than thirty years before. In 1987, graduating senior Amber Greeley snapped, killing her boyfriend Ben-Cole's uncle-and taking her own life. Lily feels inexplicably linked to Amber, and she can't help but think that there's more to the girl's story. 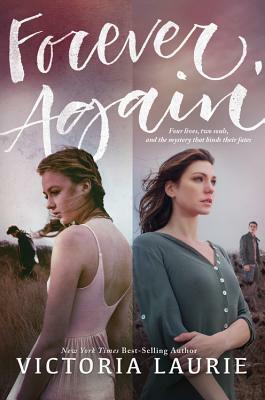 Determined to investigate the truth about Cole's uncle's death, Lily and Cole are pulled into a dark mystery-one that shakes the constraints of the world they've always believed in. "Laurie's debut for teens is quite an accomplishment...The character development is just as riveting as the plot in this well-constructed thriller." "[T]he novel packs in plenty of fast-paced, nail-biting fun, perfect for fans of Barnes' The Naturals series." "The plot is filled with false turns, which will keep readers engaged until the surprising ending."